Some images from this area has been removed by Google. 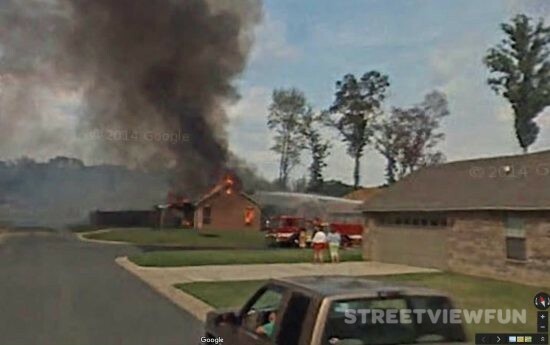 The image below show some of the smoke coming out of the house. 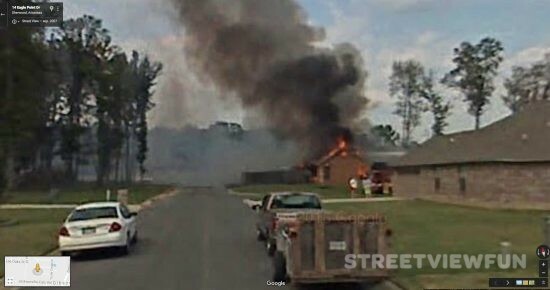 The burning house is behind the house on this image. Update: Here’s the scene from another street (thanks Kyle). Amazing, but sad. Fortunately, it looks like no one was hurt. WOW! 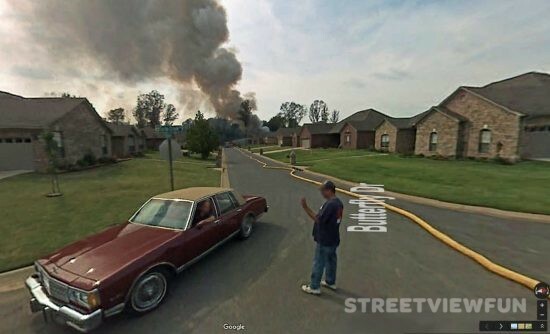 This is the best street view I think I have ever seen!